We recently commissioned research to better understand digital identity needs in the developing world. Specifically, we wanted to understand how grassroots nonprofits could benefit from a digital identity platform to conduct their humanitarian work in Africa and South East Asia. Today, we’re publishing an overview of the project. The short document outlines the initial thinking behind our research, our thoughts on an offline product, what we sought to learn from the field based research and a few of our higher level findings. Download the ‘Digital identity in the last mile’ overview here. Please read through it and share it far and wide through your networks. And please do get in touch if you have any questions or are interested in helping with the development of, or piloting, our offline solution. A few months ago, we attended one of our first technology-for-development conferences since ramping up our humanitarian work earlier in the year. ICT4D2018 brought together public, private and civil society organisations from across the humanitarian and international development community. We were there representing Yoti to share some of our early thinking around how our identity solutions might support their wider humanitarian efforts. Feedback from attendees indicated an opportunity for a fully offline identity solution, working purely at a local (rather than national) level. 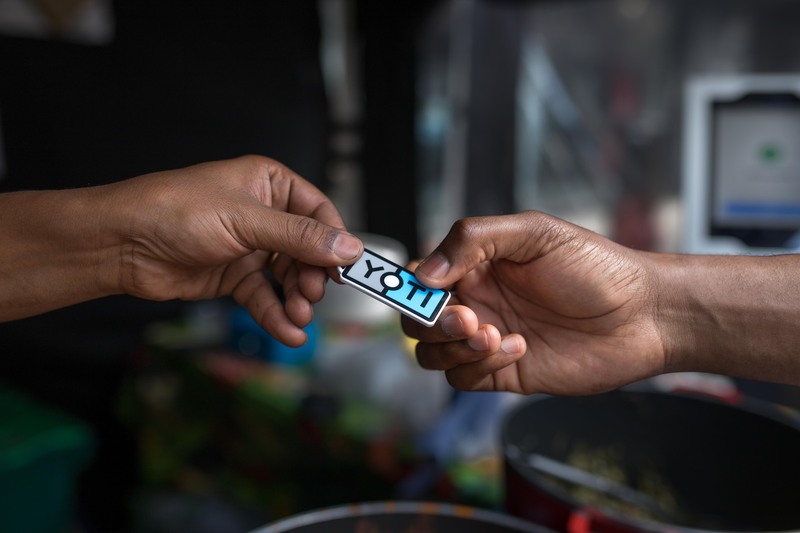 Yoti already has a product in the pipeline – Yoti Key – which can be adapted for this purpose. Before embarking on product development we sought to clarify and expand our understanding of how a simple, offline identity product might work in different last mile and near last mile humanitarian contexts. So, we commissioned field based researchers in Africa and South East Asia to better understand local nonprofit needs.